HUMAN RESOURCES - ALLOWANCES - Dearness Allowance - Regulation in the Revised Pay Scales, 2015 - orders - Issued. G.O.Rt.No.95, General Administration (Spl. A) Department dt. 28.02.2013. G.O.Ms.No. 102, Finance (PC-I) Department dated: 14.05.2014. G.O.Ms.No. 127, Finance (PC-I) Department dated: 27.05.2014. G.O.Ms.No. 198, Finance (HR-V-VPC-I) Department dated: 09.10.2014. G.O.Ms.No. 46, Finance (HRM. V-PC) Department dated: 30.04.2015. "Dearness Allowance (DA) be regulated at 0.524 % for the State Employees for every one percent of Dearness Allowance sanctioned to the Employees of Government of India with effect from 01.01.2014." ➤After careful examination of the Pay Revision Commission's recommendations with reference to the principles that have sought to insulate the public servants from the adverse effects of inflation and increase in consumer price index and considering the decennial cycle of pay revision for the Central Government employees, compared to five year cycle for the employees of Andhra Pradesh Government, the Government hereby orders that Dearness Allowance shall be determined at 0.524% for every one percent of Dearness Allowance sanctioned to the employees of Government of India with effect from January 01, 2014. ➤These orders are applicable to all emplo yees of the State Government; employees the Local Bodies and Aided Institutions including Aided Polytechnics, drawing pay in regular pay scale in the Revised Pay Scales, 2015; and the Work-charged establishment drawing pay in Revised Pay Scales of 2015. 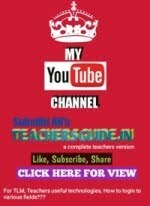 ➤These orders are not applicable to : Teachers working in the Universities, Affiliated Degree Colleges under Government and Aided managements drawing pay in the Andhra Pradesh Revised UGC/ICAR/AICTE Pay Scales; Officers of the Higher Judicial Service and the Andhra Pradesh State Judicial Service and Officers belonging to All India Services (AIS). ➤The Dearness Allowance may be claimed along with the pay fixed in the Revised Pay Scales 2015. The Dearness Allowances already sanctioned in the Government Order second and fourth read above shall be notionally adjusted up to June 01, 2014.